Walmart’s shareholder meeting 2016 was attended by its 5,700 store employees and the board, who were entertained by late night TV star James Corden and musicians Katy Perry, Nick Jonas, Maxwell and Andy Grammer. Their mood was further lifted by their CEO’s announcement of the company plans to add $60 billion in new revenue growth over next three years. All this happened even as everyone expected the elephant in the room to be addressed – Amazon has surpassed Walmart in terms of market cap and the company experienced an end to its growth run with revenues shrinking for the first time since it went public in 1970. Walmart wants to reduce inventory build-ups and increase availability for its store customers. For this, it has equipped its staff with handheld devices and apps which help in managing stocks. The company is also going to make some real use of drones in inventory management. Walmart has tested its drones in its large distribution centers where they took pictures of products on aisles and created alerts for items that ran out of stock or were misplaced. Walmart claims that these drones will be utilized at its warehouses to carry out routine inventory checkup – a process which used to take 30 days will now be completed in one day with these drones. Further, the company has initiated home deliveries after joining hands with Uber and Lyft. What usually appears to be an obvious step is not always easy to implement – that’s perhaps the only excuse for Walmart, allowing itself to be in the backseat while others took the lead in online sales. A giant like Amazon which posted more than $79 billion worth of product sales in 2015, reported a 16 percent growth rate, which was higher than Walmart’s 12 percent growth in its e-commerce channel which accounted for less than $15 billion in sales. Walmart’s under performance in the e-commerce sector has perplexed analysts. However, the company is finally addressing this area and is putting a strategic focus on improving online sales. It will only be fair to assume that Walmart trying to adopt online model will have lesser friction in its way than it will have for Amazon trying to enter Brick and Mortar model. Walmart Pay (which essentially is a mobile wallet) is a part of Walmart App that lets users create/log into their Walmart account, enter and save their card details, and then pay in-store by scanning a QR code. Walmart Pay, which works on both Android and iOS, had more than 24 million users at the end of 2015. The solution is likely to ease payments for the company’s 140 million plus weekly store visitors in the future. Mobile Wallets are a useful innovation as they improve customers’ shopping experience, help them store and manage their payment receipts and also allow merchants to roll out offers. With the likes of Wallmart joining the mobile payments bandwagon, mobile wallets from Apple, Samsung, Google and PayPal will also get a boost as customers are seeing a wider acceptance of wallets from merchants. Mobile payments are showing an uptrend in the US and are seen as the future of payments; according to a Business Insider report, by 2019, mobile payment volume will touch the $800 billion mark. The Key Takeaway – Do Not Pick Up Technology As An Afterthought! There are some other major initiatives like making product prices more competitive and re-launching the smiley face logo – all of which can perhaps turn things around for Walmart. However, the key takeaway or learning for retailers around the globe lies in Walmart’s increased focus on technology. Walmart has suffered due to technology disruptions made by Amazon and their likes. By not acting fast enough, it has allowed online players to gain advantage over its brick and mortar model. Hence, retailers should take note of this and include technology as a core business strategy and not as an afterthought. Tapping into the modern smartphone crazy consumer base is essential for any retailer’s business. 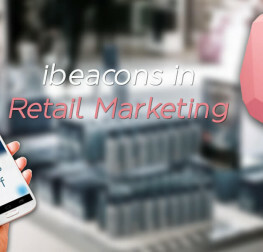 Mobile payments, e-commerce, digital coupons and i-beacons aren’t gimmicky fads – retailers can make most of these opportunities in technology as they also offer a lot of room for innovation and growth. Although the online space is very competitive, with proper applications one can leverage technology to make significant improvements not only in online sales but also in-store footfall. Credencys Solutions Inc is a leading software solution and managed services provider which has helped numerous businesses in retail leverage Mobile, Cloud, Big Data, Internet of Things and Cognitive Technologies for their business growth. 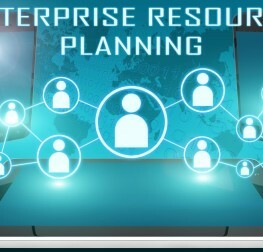 Check out our resources and portfolio to know more about our solutions.